Interior Capacity: 0.8 cu. ft.
Avanti Mo8004mst 0.8 cu. ft. 700 W Microwave features mirror finished door and controls for all your cooking convenience. It has 700 watts of cooking power that will surely cook and reheat foods rapidly. 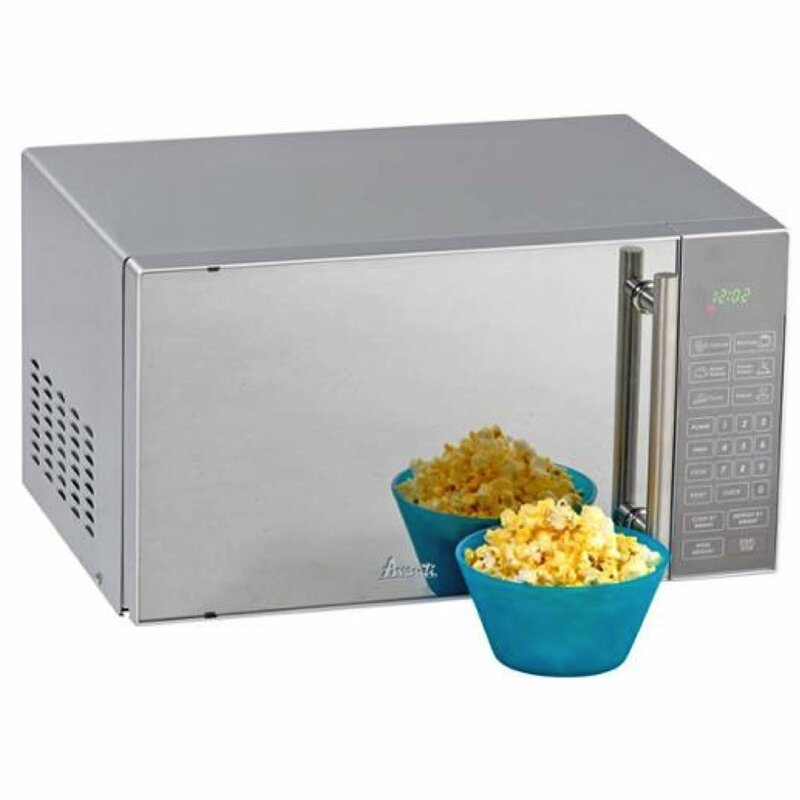 This microwave oven is produced by Avanti that is a popular brand for many home and kitchen appliances. This high grade Avanti microwave oven comes with 0.8 cu. ft. interior that is a good interior size for holding larger cooking items. Avanti Mo8004mst comes with 10 power levels with 6 pre-programmed cooking modes. These automatic cooking modes are very helpful to cook popular foods without using the guesswork. It also features digital display, clock and child safety lock to prevent unwanted use of this unit.